Kim Kardashian knows the value of a delicious cheat meal while dieting. 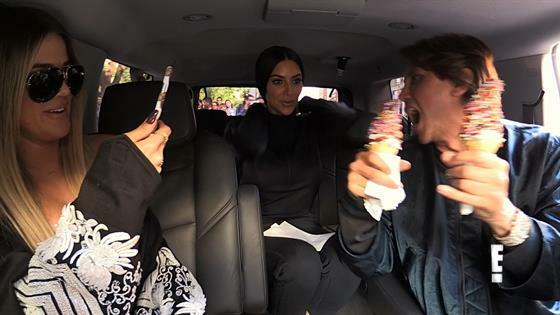 The 37-year-old Keeping Up With the Kardashians star talked about her diet in a post published on her website and app on Thursday. "I've been really strict with my diet, recently," she wrote. "When I grocery shop, I buy lean protein, carbs, fruits and veggies, but every once in a while, I like to treat myself and have a cheat meal. It can be so hard (and boring) to eat really clean all of the time. A cheat meal allows me to enjoy food without feeling like I'm overindulging. My trainer, Mel, instructs that you should schedule a cheat meal about once every 10 days. This way you won't lose any of the progress you've made at the gym." "When you do them too often, your body's hormones are thrown off," she wrote. "Your testosterone, which is a muscle-making and fat-loss hormone, can change if you're eating too many calories, which can make you gain weight. You can still enjoy your favorite food, as long as you get back on track the next day. Cheat meals work best when you avoid alcohol, since they're empty calories filled with sugar. This part is easy for me since I don't really drink—which means I can just have an extra doughnut or two. Kidding! I do have a sweet tooth, though, so normally my cheat meals are desserts or other sweets." Kim has shared details about her diet and fitness journey before. In February, she revealed she has slimmed down to achieve a 24-inch waist, adding that she has 39-inch hips. In April, she revealed that she had embarked on a 10-day eating cleanse. "I have the Met Gala coming up and I've worked so hard working out, but I started eating a lot of sweets and I wanted to just change my food patterns to eat healthier and cut sugar out of my life as much as I can," she said at the time. "We always have sweets around and it's really hard when there are temptations everywhere."